When my kids were young, they watched Barney, the big purple dinosaur, every morning on PBS. One Barney song still lingers in my mind. Odd I know, but it’s a really catchy tune. 🎵 Please and thank you- they’re called the magic words. Barney was right- please and thank you are magic. And so is You’re Welcome. And so is Excuse Me. In my classes and workshops for young people, I call these Power Words. Power Words make a great impression and show you are considerate and intelligent. Please makes things happen more smoothly. It turns a demand into a polite request. Thank you shows appreciation and we all like to be appreciated. Someone is more likely to do something nice for you again when they’ve been properly thanked. You’re welcome is what you say when you are thanked. Please do not respond with “no problem”, because it’s simply bad manners to do so. you must interrupt someone, you don’t hear someone, you sneeze/cough/hiccup, or you bump into someone. We all make these little missteps daily, so keep “excuse me” handy in your vocabulary. Make using Power Words your habit. You’ll show others you’re considerate, intelligent and maybe even a little magical. Tips for Moms: Teach your children to use Power Words. This takes a lot of reminding, positive reinforcement, and patience on your part, but it is worth the effort! Using Power Words should be part of your children’s everyday good habits. 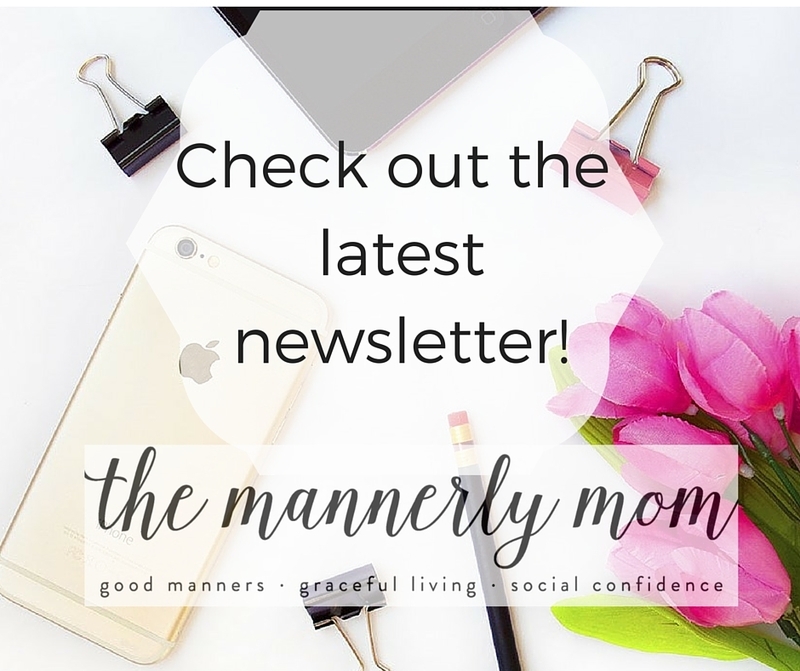 If this post was helpful, you may be interested in my FREE guide for busy moms, “6 Tried & True Tips To Help You Teach Your Family Good Manners”. Simply enter your email here and your guide will be delivered to your inbox.